In stock now is the full Asian version of the game which features both English and Chinese box, manual and game. 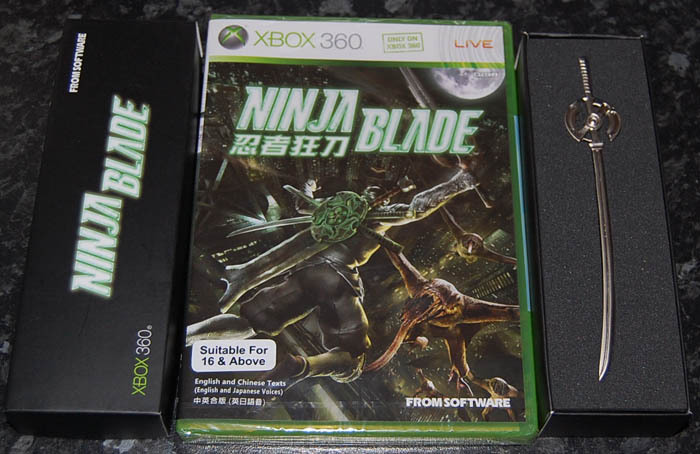 The Limited Edition includes a little metal sword in it's own box. THIS GAME IS NOT REGION PROTECTED AND WILL WORK ON ANY REGION XBOX 360 CONSOLE!